The long awaited and speculated plans for the re-imagination of the Disney Wonder have finally been revealed by Disney Cruise Line. Following the fall Eastbound Panama Canal cruise, the Disney Wonder will set a course for Cadiz, Spain to undergo an overdue refurbishment along the line’s of the Disney Magic dry dock in 2013. Disney is promising some exciting new entertainment and experiences for Disney Wonder guests after her transformed this fall. Headlining the enhancements are imaginative spaces for children, a jazzy Princess and the Frog inspired restaurant, Tiana’ Place, and an English pub. 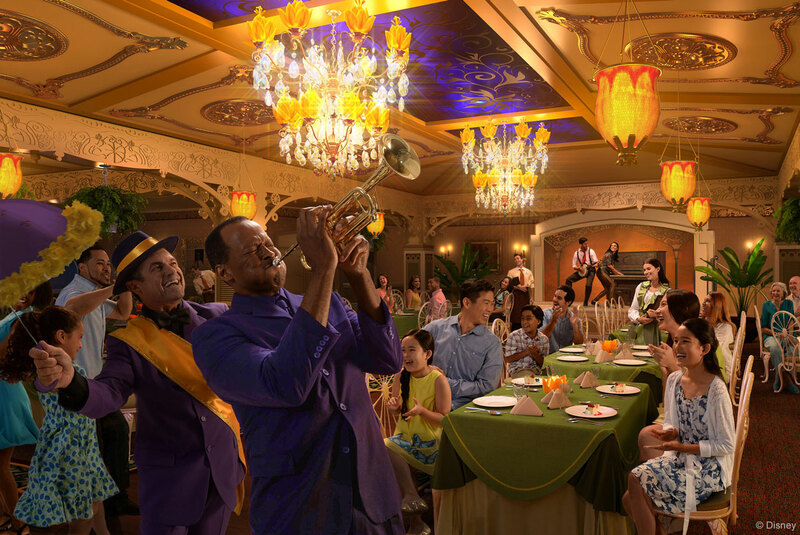 Parrot Cay, one of the three rotational restaurants will be transformed into a New Orleans themed restaurant straight out of the Disney Animation film Princess and the Frog. 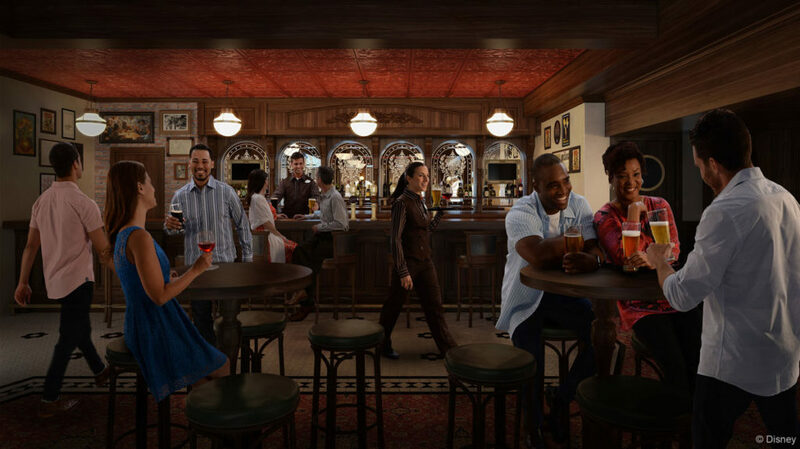 Exclusive to the Disney Wonder, Tiana’s Place restaurant will transport guests to an era of southern charm, spirited jazz and street party celebrations. With a menu influenced by southern-style cuisine, Tiana’s Place will provide food for the body and soul, showing that dreams and dishes come true. Guests of Tiana’s Place, the restaurant inspired by Princess Tiana in the Disney animated feature, “The Princess and the Frog,” will be treated to a celebration of New Orleans dining and entertainment. Live music will be performed on the main stage, with rhythmic, toe-tapping notes of jazz, swing and blues setting the tone for the French Quarter supper club atmosphere. Chefs will cook up Tiana’s recipes, drawing inspiration from the flavors and ingredients of the Louisiana bayou. Tiana’s personal touch will be evident in the menu, the entertainment and throughout every detail in the restaurant. From Tiana’s family photos to water lily-shaped candleholders to her framed culinary awards – all will help tell the timeless tale of Tiana’s journey from waitress to frog to princess to proud restaurant owner. Animator’s Palate main dining restaurant will be updated to introduce the popular “Drawn to Magic” and “Animation Magic” dinner shows featured currently on the Disney Magic. The adult only signature resturaunt, Palo, will be freshened up to continue providing an exclusive dining experience with a breathtaking view. Palo will receive a makeover with Venetian-inspired decor. Beach Blanket Buffet will be converted into Cabanas thus completing the unification of the fleet’s primary buffet restaurant. The remodel will increase the usable space and provide additional indoor seating. The Oceaneer Club open to children between the ages of 3 and 12 will be gutted to make room for a snowman, super heroes, larger than life toys, and a club fit for a Mouse! The Marvel Super Hero Academy will be the cornerstone of this addition for many young super heroes. The Marvel universe comes to life in Marvel Super Hero Academy. In this space, young guests can train to develop the brave and adventurous heroes inside themselves. It’s an exciting addition to Disney’s Oceaneer Club, the engaging and interactive space just for children. In one mission, Spider-Man will appear in person to help children hone their spider senses by perfecting their skills of reflex, speed and sharp minds. Children will work on their web-slinging and then get to see themselves in the headlines of the Daily Bugle. 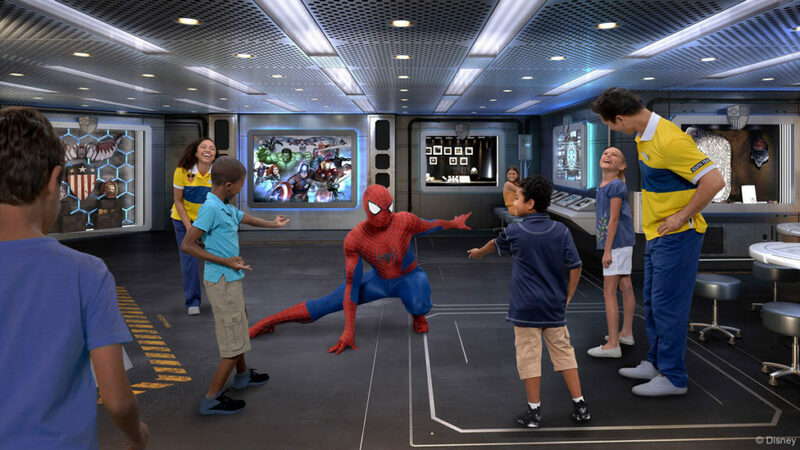 The high-tech command post is also where other Marvel Super Heroes will interact with children via a large digital display, helping them unleash their inner heroes. In one program, kids can control the movement of a character on screen to practice super skills like repulsor blasting. Throughout the academy, displays will feature equipment that helps make Marvel Super Heroes the mightiest in the universe. Captain America’s World War II shield, Iron Man’s helmet, Spider-Man’s web shooters and Black Widow’s gauntlets will inspire young Super Hero recruits. Frozen Adventures is where fun takes the form of imaginative play and hands-on activities. On the digital screen, Olaf leads summery games with a wintery twist and a sing-a-long of “In Summer.” In another festive activity, young guests prepare for a coronation and receive a truly royal and in-person visit by Anna and Elsa. Andy’s Room is where kids feel toy-sized in the multi-level play space themed to the Disney-Pixar “Toy Story” trilogy. As a special treat, Woody appears in person to join youngsters in a hoedown and Jessie stops by to join in a scavenger hunt. Flounder’s Reef Nursery will be revitalized and renamed into a whimsical space inspired by the ride, it’s a small world nursery. This change will bring unity across the fleet with the nursery naming. 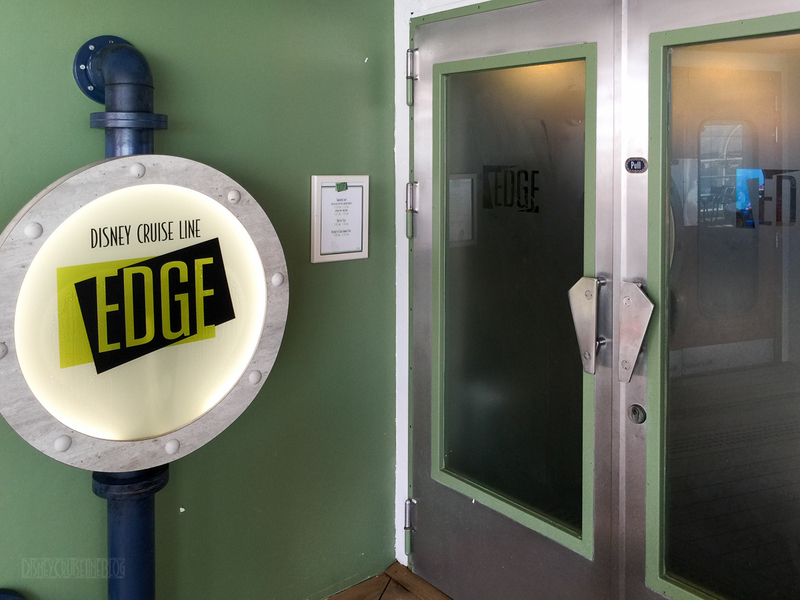 Edge will also feature a makeover and potentially a relocation into the pool deck arcade as we recently saw on the Disney Magic. Unlike the Disney Magic and even the rest of the fleet, the Disney Wonder will not be getting a signature water slide such as the AquaDunk. However, the Disney Wonder’s upper decks will still be redesigned for waterful enjoyment. 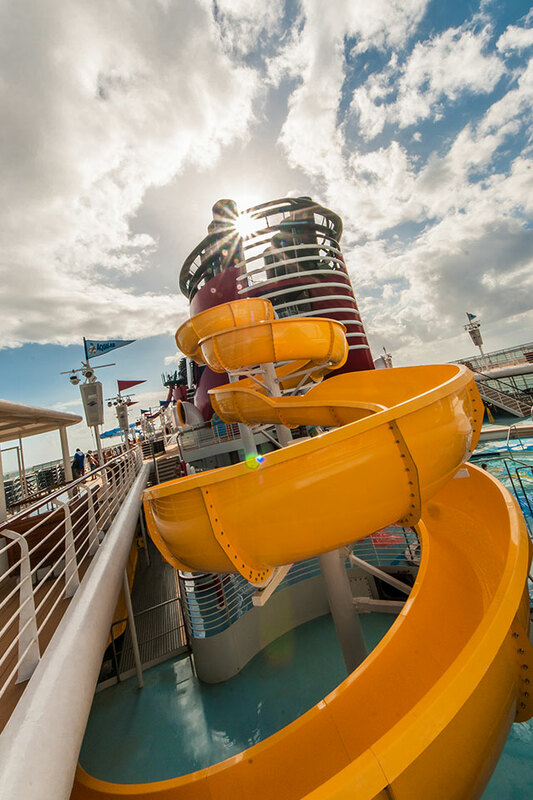 The fan favorite Twist ‘n’ Spout waterslide introduced on the Disney Magic will be added to the Disney Wonder. Additionally, Dory’s Reef splash zone (great tie in with Finding Dory) will be added to offer fanciful water play for toddlers. The amazing (my words) AquaLab pool with interactive water play are will be added to anchor the space behind the rear funnel. 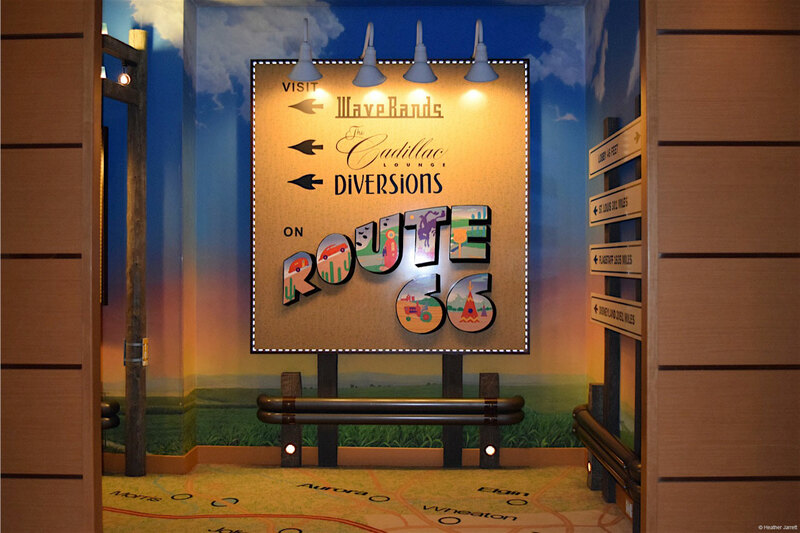 Route 66, the adult nighttime entertainment district which is the current area on deck 3 forward, will be re-themed to After Hours. All venues in After Hours intertwine, with each venue retaining its own totally unique look, sound and feel, providing you with a range of diverse options that play to all senses no matter what your mood. After Hours is the same name for the space over on the Disney Magic. We do not have a complete picture of what is planned for the space as there was no mention about the re-theming of WaveBands other than saying it will be a sophisticated nightclub for dancing the night away to pop-music hits both past and present. The Disney Wonder will get a shiny new Cadillac Lounge and an English tavern. Diversions will transition into an English Pub. The new adult district pub will invite guests to take a jaunt to an authentic English tavern. Dark woods, plush leather furniture and brass accents are reminiscent of a friendly neighborhood pub. Of course, a selection of British and specialty beers create the perfect pub atmosphere, where adult guests can sip a pint or cocktail, or sample a brew made especially for the pub. Below is a look (thanks to pictures from Heather Jarrett) a the current space, Route 66. Vista Spa; welcome aboard Senses Spa & Salon. Get ready to enter the realm of relaxation in an revitalized spa area. The spa will be expanded and include the Chill Teen Spa. This blissful retreat will be a home to therapeutic and beautifying services for guests. Stimulate your mind and body in a serene and pristine environment. Enjoy pampering treatment packages that deliver personalized care, from herbal wraps and botanical skin therapies to special massages that utilize ancient techniques. 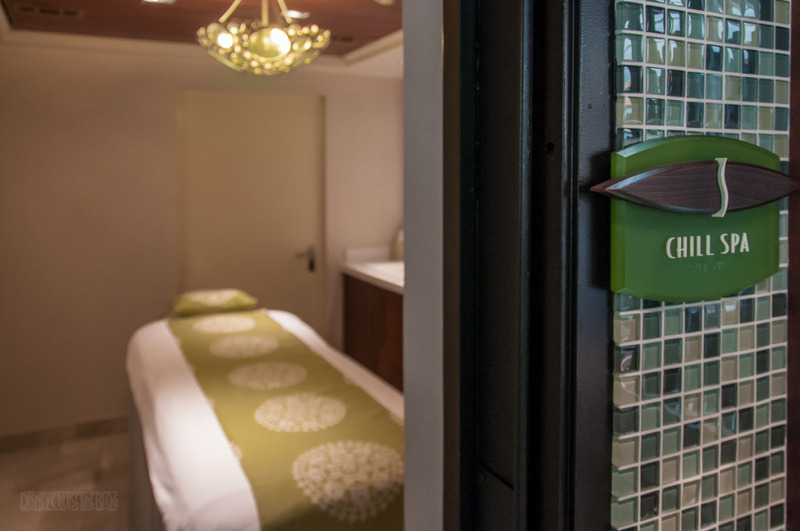 Sink into tranquility in a rainforest-themed aromatherapy steam room or an invigorating sauna, while fragrant vapors holistically elevate your soul. And enjoy private rejuvenation amid a sweeping ocean-view sanctuary inside luxury spa villas for individuals and couples. Pair your inner glow with your outer beauty by discovering the benefits and convenience of Senses salon services, which include hairstyling, makeup and teeth-whitening, to name just a few. Gentlemen can even “clean up” with a stylish haircut and classic hot-towel shave. And at Chill Spa located inside Senses Spa & Salon, teens can also feel relaxed and renewed with soothing services and treatments designed just for them. See ya later Studio Sea. 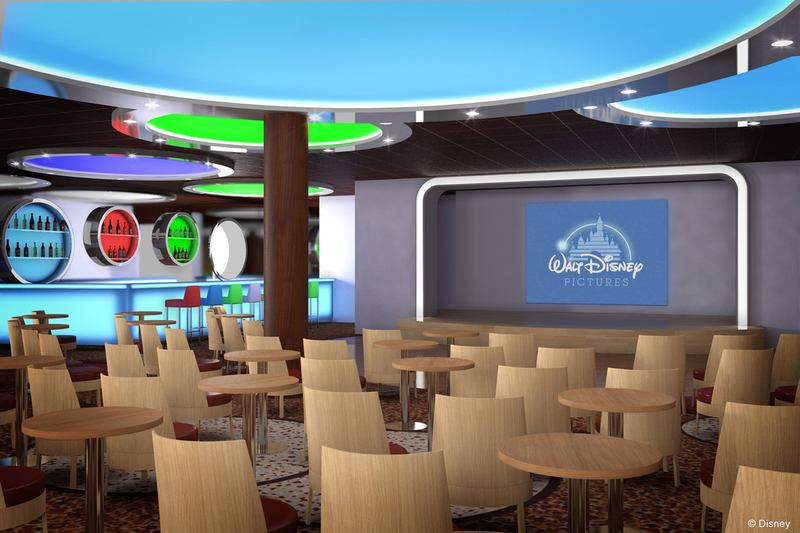 Bringing the Wonder in line with her sisters, Studio Sea will emerge from dry dock as D-Lounge, a venue for family-friendly games, shows, dances and other various activities such as the Disney Vacation Club gatherings. I am not sure where to put this so I’ll just include it here. 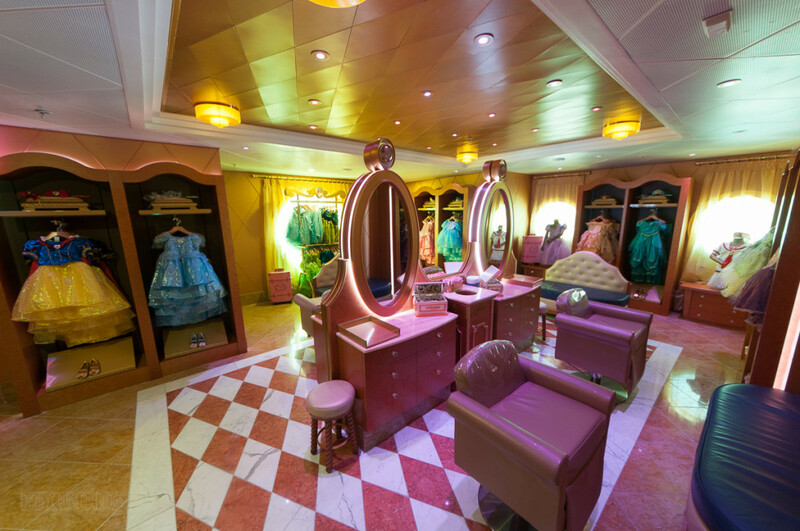 Bibbidi Bobbidi Boutique will be added to provide makeovers for children. Clearly, Disney is holding back on some of the details and I give them a lot of credit for it. I think they learned a hard lesson with the Disney Magic’s re-imagination. They oversold the dry dock, promised a lot up front and had to scale back and still went over schedule. In contrast, consider how they handled the Disney Dream’s first dry dock. DCL put out some major changes and left a lot of surprises keeping guest expectations in check. The biggest missing detail in my mind is the atrium. The Disney Wonder atrium was not specifically mentioned in today’s announcement. 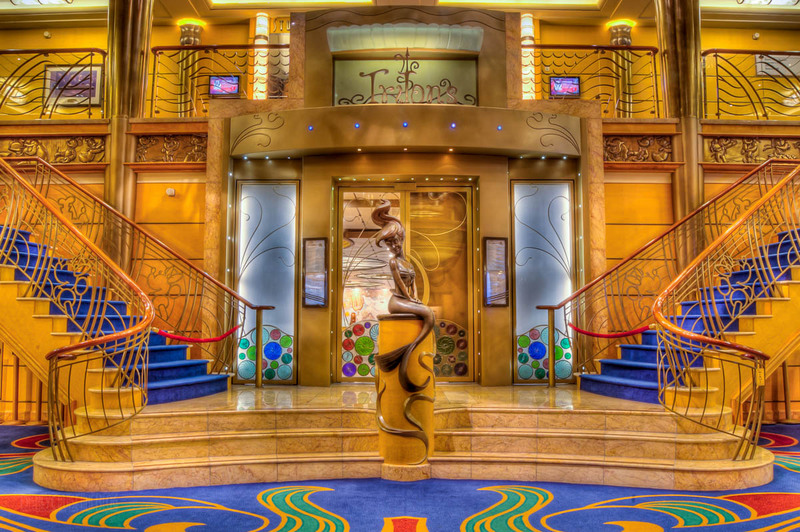 However, we suspect there will be a change similar to the Disney Magic, but only time will tell how much longer the second staircase and the wonderful Dale Chihuly chandelier have left on the Disney Wonder. Interestingly enough, Disney Cruise Line is allotting a decent buffer for the Disney Wonder’s dry dock. We’ve had her penciled in for 62 days based on the itinerary gap. It is notable that he press release shows the dry dock will end on October 23rd leaving more than enough time to cross the Atlantic, make a stop in Port Canaveral (to install… cough.. Frozen) and get to Galveston for the first bookable post-dry dock cruise on November 10, 2016. The November 10th sailing, just happens to be a Very MerryTime Cruise. This entry was posted in Announcements, Dry Dock and tagged Andy's Room, AquaLab, Club Disney Junior, Disney Wonder, Frozen Adventures, it's a small world nursery, Marvel Super Hero Academy, Oceaneer Club, Spider-Man, Tiana's Place, Twist N' Spout by Scott Sanders. Bookmark the permalink. I feel like they left out a lot of details. They’re not touching the pool area food at all? How about a concierge lounge? I guess time will tell what happens. I think they learned a hard lesson with the Disney Magic. They oversold the dry dock, promised a lot and had to cut back and went over schedule. Look at how they handled the Disney Dream, they put out some major changes and left a lot of surprises keeping guest expectations in check. I had to cut out a lot of stuff I had written in a draft on the announcement. Tell us about renovations to the rooms and those old smelly bathrooms. In sum, what better on the ,,Wonder that’s not on the Magic ,,what’s really special and magical for the Wonder! 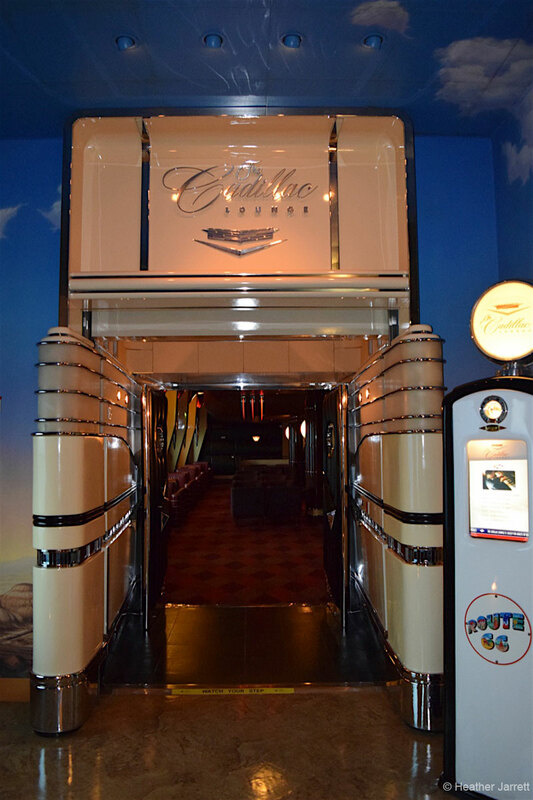 I really hope they leave Outlook Cafe alone, no disrespect to those who sail concierge intended, but it is VERY welcome to a have the space available to the rest of us during the Alaska sailings! I agree. Amazing space at sunset when sailing the Inside Passage. Why aren’t they putting the Aqudunk on the Disney Wonder. This is purely speculation on my part but the Aquadunk, as cool as it is, added a significant amount of weight to the Magic as well eating into a fair amount of deck space while obstructing previously existing views. For a ship that spends several months out of the year in Alaska the Aquadunk may not have been a good fit for the Wonder. Still, some other form of water entertainment for all ages would be nice since most of year, the Wonder is not in Alaska. Maybe they are holding off details or maybe there won’t be anything else added. I guess if they are adding a duck tail, we may know. An Aqua Duct cannot be added to the Wonder because it hangs over the ship and cannot got through the Panama Canal to go to Alaska. Yes it can. The new locks are more then wide enough to handle the Magic class with the A/D. Even without the new locks, forgetting the duck tail, the overhang is over 100 feet off the water and the tallest light or obstruction in the locks are in the 50′ range. On our last Wonder cruise through the locks we were told it would cost over double to use the new locks. There is speculation that the million dollar price to use the new locks would permanently station one of the ships, possibly one under construction, permanently in the Pacific. Time will tell ( Disney won’t! ). There’s also a new new Walt Disney Theatre production planned. I wonder if the buffer is for rehearsals? I think they usually rehearse in Canada and then on the way back from Cadiz to the US, they have may do stage rehearsals. Since the trip back is not a paying cruise, they can continue to do smaller installations, paint and touchups. At least I think that is how the Magic refurb went. So very exciting. They can leave out details. I love suprises. Especially from Disney. The Panama Canal expanded locks are at “full operability” and will have an official inauguration on June 26, 2016. I was unaware that the Aquadunk required the tail on the boat. I thought the boat tail was something to do with operating efficiency. The fact that it isn’t explicitly listed here is interesting. Perhaps keeping the boat shorter and still able to get through the shorter canal locks provides some operational advantage. Or keeps costs down. Keeping flexibility makes sense. The duck tail also adds additional buoyancy. If they do not need to add a duck tail due to not needing additional buoyancy, then it makes less sense why they held off this major rehab for at least a couple of years. Unless cost cutting has recently changed directions, I would think that we will see a duck tail, and so something else with weight will be announced later. Hopeful. Great recap Scott. Also no mention of the rooms! Super curious for more details. The staterooms on the Disney Wonder were refurbished in 2015. Thanks Scott! Have you seen them? Was it as extensive as the Magic? Sad to see no AquaDunk or something similar, will the Wonder also get the Duck tail? Very happy to see that the Cadillac Lounge will still exist. That was our favorite adult venue on the ship. will Twist ‘n’ Spout waterside allow adults to ride the water slide? It is such a bummer when we went on the Wonder and found out that adults could not go on the slide. Still love the Wonder and will be on it this Aug, and again next Oct. so excited to see the differences from this year to next year. It is very likely. I’ve always been allowed to ride the Twist ‘n’ Spout on the Disney Magic. There was also no mention about a concierge lounge. Maybe they’re intentionally being hush-hush about that as well. So excited about Tiana’s Place. Sailing to Ak on August 8th. Looks like we’re gonna be on board booking for Wonder for next year cos we HAVE to check out all the new stuff! Agree about Tiana’s place! Thanks for the great post Scott! Like the idea of “Disney surprises” as well! Not sure about the duck tale, I cannot recall is that was talked up by Disney when they announce the re-imagined Magic, but I think it was not and was just discovered and talked up by the news forums. Thats said, perhaps without the aquadunk, its not needed. Tiana’s looks vastly superior to Cariocas. 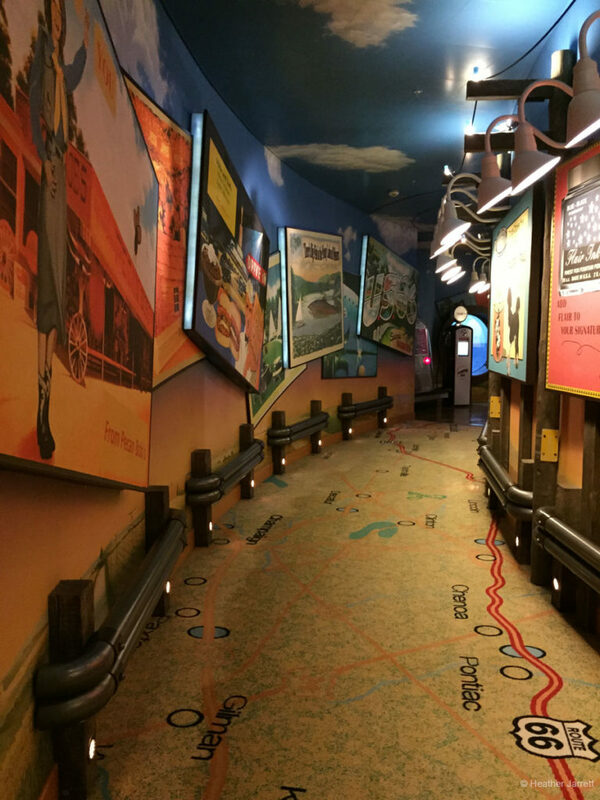 I am surprised the are going ahead with the conversation of route 66 to “after hours, as my perception after personal experience and reading reviews was that After Hours was largely a dud on the Magic. I will be surprised if they do no update the lobby. I know it was controversial for some, but its gives them so much more room and combined with the smaller for more elegant chandelier, the lobby on the magic became much more Grand. I did think they would enclose a pool, as most ships used for Alaska feature an enclosed and heated pool area. its nice to be warm, but still pool side with view that only alaska can provide. Personally I like the Parrot Cay. I’ve sailed on the Wonder and Magic (after dry dock) and I did not like Cariocas. But from the picture Tiana’s Place looks more interesting than Cariocas to me. But in all honestly being on any Disney Ship will make me happy. Happy they are adding the Twist and Spout. My boys as well as myself had a blast on it. When we were on the Wonder my youngest was 3 at the time so only our oldest who was 5 at the time could ride it. I hope they do not change the Rain forest room on the Wonder. I love the low lighting, bubbly fountain,armed rock recliners, tranguil feel of the room now. Then I saw pictures of the Magic, Dream, and Fantasy new Senses spa, which is outside of sorts, with huge sun shining in windows, with lounge chairs, no arms. We can get that pretty much anywhere on deck. This is not how to relax at a spa. The chairs in the Rainforest Room on the Dream class ships are heated. It’s unbelievably tranquil and relaxing. We were on the final Alaska cruise this year and during the “Art of the Theme Show Tour” we were told the duck tail would be added. 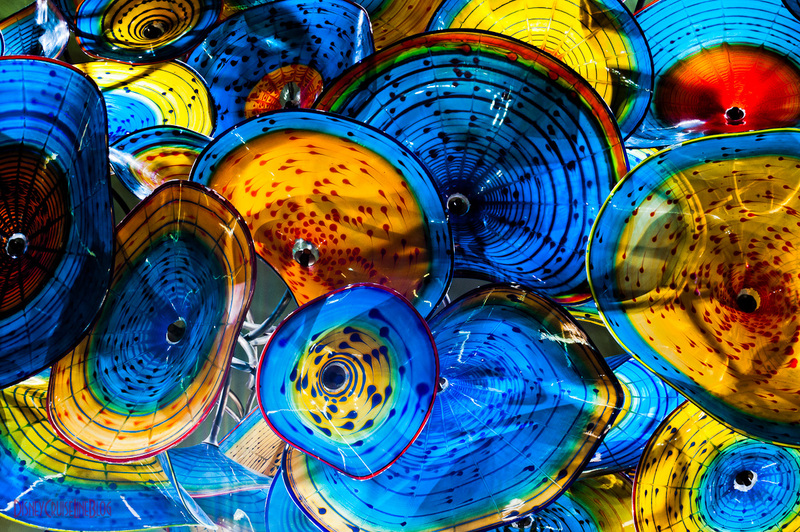 They also said one atrium staircase would be removed, and the Dale Chihuly chandelier was headed to a museum. They need the duck tail (additional buoyancy) because they are expanding the buffet and Palo due to guest needs. I suspect part of the reason they are expanding these restaurants now is because they have to cut up the rear of the ship to replace the engines or rudders or both, etc…just a guess as I’m not sure whether they are replacing the engines, rudders, etc. or not. I have heard that this overhaul on the Magic and Wonder extends the life of the ship, so there are some deep reaching engineering changes taking place and it is an opportunity to update spaces that are demolished to accommodate those engineering improvements. Scott, any official updates/pictures you’ve seen now that the Wonder has “Left the Building” and is out sailing again? Would love to see what has happened. Thanks!